Thomas R. Kramar, 85, of Schuyler, died Wednesday, September 6, 2017, at the Schuyler Care and Rehabilitation Center. 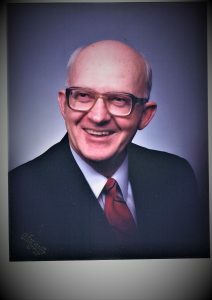 Funeral Service Thursday, September 14, 2017 7:00 P.M.
Kracl Funeral Chapel, Schuyler Visitation 5-7 P.M.
Tom was born February 3, 1932 to Josephine and Louis Kramar Sr. in Schuyler. He attended Schuyler Schools and graduated with the class of 1951. In June 1951 he joined and served in the US Navy during the Korean War aboard a submarine rescue ship, the USS Caucal. On November 23, 1987 he married Louise Frances. They lived in Omaha, Nebraska until his retirement from Western Electric Company, and then moved back to his childhood home in Schuyler. Tom loved playing golf. He was recognized for a hole-in-one at Barbers Point Naval Air Station, Oahu, Hawaii while serving in the Navy. He also loved fishing with his son Larry in Minnesota. Tom is survived by 3 sons Paul, Larry, and David and a daughter Mary Jane, a stepson Spencer, 3 grandchildren, many nieces, nephews, great nieces and great nephews. He was preceded in death by his parents Josephine and Louis Kramar Sr., 5 brothers Louis Jr. (Bully), Joe (Pokie), Emil (Skinny), Jim, Frank and a sister Josephine Sims (Jokie) and his wife Louise (Lulu).